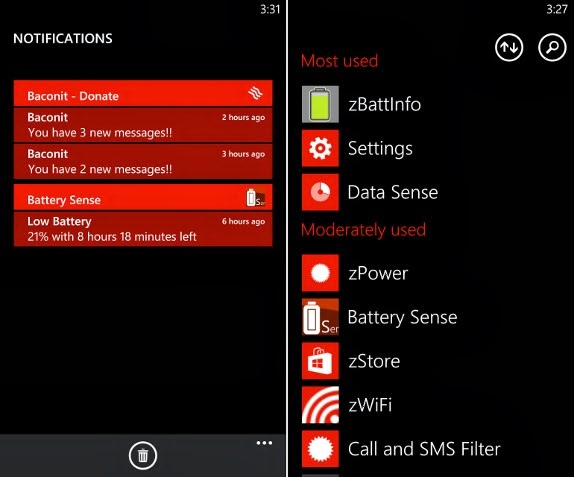 A screenshot from an internal Microsoft presentation, detailing the rumored Windows Phone 8.1 Notification Center feature is now becoming a common subject among tech sites online. Disclosed in the rumored screenshot published recently by Winphollowers is a controversial image of the Windows Phone 8.1 version featuring the notification center, also referred to as the 'Action Center,' that prompts when a user perform a short swipe from the screen top. Prior to the photo leaks, pertinent reports have been claiming about a major Windows Phone 8 update project that is thought to deliver the highly requested Notification Center. The said feature will allow users to view all notifications in a centralized location, in addition to toggles for the commonly used phone settings. The rumored Notification Center feature on Windows Phone 8.1 OS is also expected to be on the same lines with iOS and Android notification centers. Later report from The Verge also conferred about the much-anticipated Notification Center feature on Windows Phone 8.1 model to display four basic quick settings that will serve as shortcuts to other options including Bluetooth, Wi-Fi and other system settings. All these are on top of its function to show data and a battery level percentage. It was also mentioned in the same report that the four settings are customizable or changeable, depending on the user's preference. A full 'Action Center' will reportedly be displayed when the Notification Center is pulled down. This then will prompt users with notification from apps that can also be added, updated or deleted in the view, silently. Pertinent information from The Verge also said that some information on Cortana voice assistant will likely emerge among the features of the latest Windows Phone OS update. The said feature will be powered by Bing, Foursquare and other data sources. Meanwhile, there have been some talks, claiming that the Windows Phone 8.1 platform will comprise of other new features including a swipe-styled keyboard. This means that users may opt use this alternate feature apart from voice commands and regular typing. Prior to the Windows Phone 8.1 Notification Center feature image leak, some separate screenshots have shown that Microsoft has made volume controls split for notifications and media, ringer, and apps in the latest update. More features are expected to be officially unveiled at the Build developer conference in April.